Sun packed, excellent living standards and retiree friendly visa regulations all go together to make South Africa a popular destination for the international retiree. There are many factors to weigh up when considering South Africa for you retirement years and of course the retirement visa itself is one of the main ones. Below we go through the retirement visa for South Africa, looking at what the qualifying criteria is and covering some of the most frequently asked questions. Who can apply for a South African Retirement Visa? 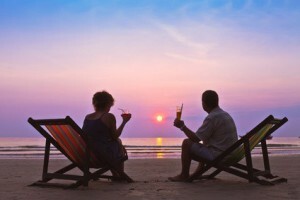 South Africa remains retiree friendly as a retirement destination. The normal qualifying criteria regarding good character and health apply, but other than that the retirement visa qualifying criteria is mainly financially based. It is important to note that a South African retirement visa is a temporary visa of 4 years. Permanent residency can be applied for with a Retired Person Permit application. The same monthly income is required in either instance however the retirement visa does allow you to substitute the required income level with a cash equivalent. We provide you with more details on this cash equivalent below and you can read more on the retired permit for permanent residency here. South African immigration laws seek to ensure the retiree can afford, without putting strain on state resources, to financially support themselves throughout their retirement years. Therefore they impose a minimum guaranteed income requirement of ZAR37,000 per month. The ZAR 37,000 is a gross income figure and it must be from a source whereby that income is guaranteed. An example of this would be a pension or collection of pensions. Alternatively you can supply proof of a cash alternative. This cash alternative equates to the total of the required monthly income of the 4 years the retirement visa would be issued for. In other words the calculation is ZAR 37,000 x 48 months = ZAR1,776,000. Many countries shy away from attracting retirees and their retirement visa regulations mirror this. There is a concern amongst developed countries with extensive government pensions and medical facilities that retirees will drain their resources. Put bluntly, and something retirees to South African need to be aware of is that South Africa has no social security net. retirees will need to ensure they are comfortable they can support themselves and afford to put in place private medical aid. Maybe, due to this reason there are no age restrictions on retirement visas. What about health and good character? No matter the South African visa type applied for the same good character and health requirements apply. Good character is applicable to the applicants standing and applications will need to prove that there is no history of criminal behaviour that would preclude them from entering and staying in South Africa. The health requirements include a medical certificate and chest x-ray. It is worth noting that South African medical aid providers may not refuse an application for medical insurance but may exclude certain ailments for a period of time and impose a higher charge for late joiners. What type of retirement visa can be applied for? Visas are by nature short term, in this case 4 years however those seeking retirement to South Africa can also make an application for permanent residency where the guaranteed income criteria is the same. Is there an alternative to a retirement visa? Cash rich but income poor. Income rich but guaranteed income poor. The use of capital instead of income. The good news is that both are catered for by the South African immigration rules via the Financially Independent Permit. Below we give you two examples of this and how you may still be able to retire in South Africa despite not meeting the ZAR 37,000 per month guaranteed income criteria. One of the most popular methods of alternative retirement planning over the last decade or two has been property. It is therefore common that we are approached by prospective Retirees to South Africa who have little in the way of guaranteed pensions but have excellent rental income from properties that they let out. Even where this income exceeds the ZAR37,000 it is highly unlikely that the rental income is guaranteed for life. Tenancy agreements tend to be for a year or so at a time and of course properties can stay empty. The Financially Independent Permit works not on income but on net asset value. Let us therefore assume in this case that the properties are unencumbered and have a worth of in excess of ZAE 12.5 million. The applicant would therefore qualify due to the value of the properties and the income amount would be of no importance. Other individuals seek to invest in a number of different vehicles during their pre-retirement years and then vest these at retirement age. This could include the sale of their business, unit trusts, or any item of value. Key here is that the prospective immigrant Retiree can once again show a net worth of ZAE 12,5 million to negate the income need. The Financially Independent Permit carries many other potential benefits for the Retiree and should always be considered prior to selecting a retirement visa. You can read more about retiring to South Africa on a Financially Independent Permit here. Intergate Immigration are South Africa’s largest independent immigration consultancy for immigration to South Africa. We boast an enviable track record having successfully processed thousands of application on behalf of our applicants. We are also South Africa’s only immigration consultancy to have ISO 9001 offering a reassurance to our clients of our systems, processes and client focus.